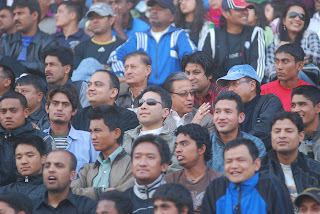 Usually when a big soccer tournament comes around I get quite a few requests from the Nepali media to give insights. I’ve always refused because the truth is I really don’t know much about football – well at least the tactical aspects of each game. Sure, I know a lot of the theoretical stuff – like if you have a team of midgets you need to keep the ball on the ground, but watching a game live I really couldn’t tell you if a player was out of position or the formation changes that the coaches might have made as the game progressed. The reason for this is that my eyes always drift away from the pitch. My background is in Sports Marketing and Sports Management (as in managing a league, not players) thus I’m much more interested in how the advertising hoardings look than how the defensive backline is holding up. When I’m at game I’m busy analyzing the match day experience, stadium layout, ticketing system, fan interaction, security, food and drinks available and even if the number of urinals in the restrooms is adequate for the size of the crowd. I can’t even begin to count the number of goals I've missed while at a game because I was too busy trying to figure-out where all the TV cameras were stationed. 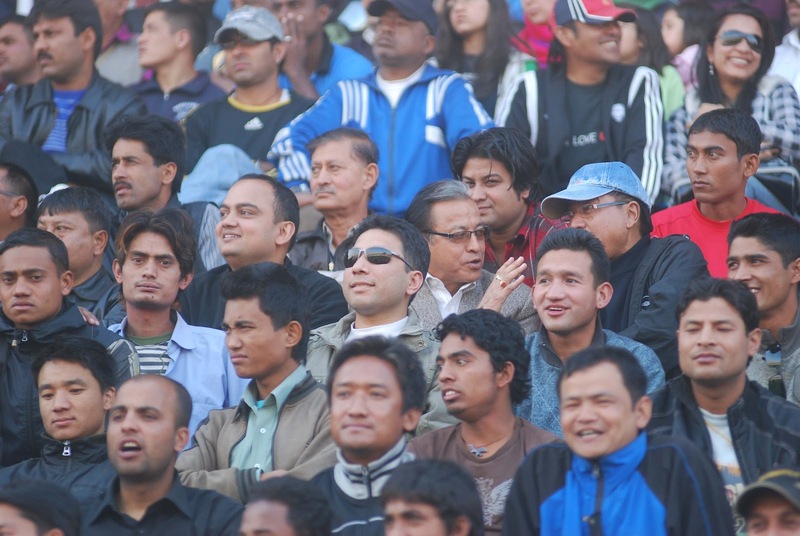 The reason I will not be attending any of the high profile AFC Challenge Cup matches is because I’ve been to enough of these types of tournaments to have a good idea on all of the above mentioned aspects of the match/tournament, so I have little interest in dealing with the crowds, parking problems, and transportation issues that come along with going to night matches at Dasharath Rangasala. I’ll just watch the tournament from the comfort of my home and let you know if the match commentators were up to standard, how good or bad the camera angles were and if the halftime commercials provided any value to the advertisers. And if I do go off track and tell you that a certain player stinks, it probably means he’s bloody brilliant!